Rebrand Duncan Hines to stand out among competition. You never eat a whole cake by yourself, a cake is meant to be shared. A powerful little break or recharge session with a friend can start with a cake. Introduce the coffee and cake movement. 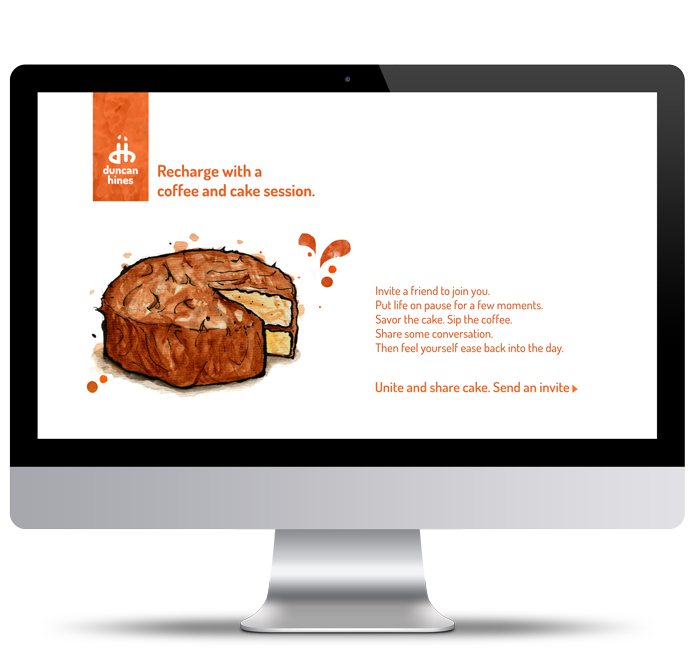 A new logo, packaging and social media outlet for the cake mix was created. The experience of a C+C session was delivered throughout NYC. Banner and print ads were executed to lead people to the microsite. 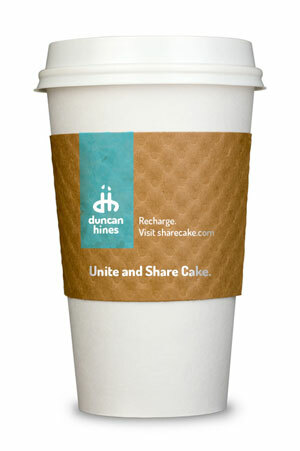 The coffee and cake sessions were promoted through C+C deliveries made to busy offices, colleges and subway stations. Invitations to take a mini C+C session were handed out with the deliveries and the packaging led to sharecake.com. At the microsite you can invite friends to join you for a C+C session.